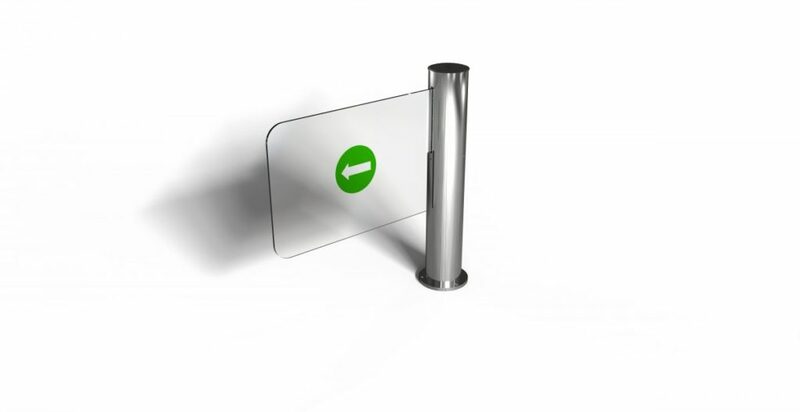 Motorized Swing Gate Turnstile that offers secure control for the flow of visitors and personnel and is ideal for allowing wheelchair and cargo. ARM Plexiglass and stainless steel. Option of 10 mm thick tampered glass. Monoblock construction mechanism with control cams that are treated with AISI 304 grade stainless steel CNC against rust, wear-out, expansion, and contraction. POWER SUPPLY 10 VAC 60 Hz Switch mode supply. Max 25 Watts operational power. Max 12/24 VDC internal voltage. TEMPERATURE RANGE 14 / 122 F° /(-10 / +50 C°) temperature range. Can operate even in -40 F° (-40 C°) with thermostat-equipped optional external heater. Rated for Max 95% humidity.